As a vape enthusiast, you know that if top critics believe a product is worth its salt, it almost certainly will be. Many have praised Kind Pen brand for their sophisticated line of products, which includes many different unique vaporizers. Each model from Kind Pen is incredibly lightweight, making it easier than ever before to carry around. As you are able to place any of them in your pocket, backpack, or simply hold in the hand, is why this brand makes vaping anywhere at any time an easily accessible dream. This very well know brand in the industry constantly improves vapes intended for wax, oil, dry herbs, and e-liquids. Each model described below also comes with a lifetime warranty. Kind Pen is precisely what its name suggests: a slender, portable, conduction style wax pens. Also available in an assortment of fun, vibrant colors in a durable matte finish, it features the common on/off system of five clicks of its power button in rapid succession to ensure the device will not turn on in your pocket. Creating vaporization is an atomizer with a titanium coil and dual ceramic rods, a combination that provides dense, crisp vapor with a clean flavor profile. Both the coils and the rods are housed inside of a ceramic casing which provides even-heating capabilities. This type of heating element also works to thoroughly use up your waxy materials, and it does so slowly, ensuring that you are getting the most out of your every vaping session. Furthermore, any wax that was not used by the coils and rods initially will land on the ceramic chamber and vaporize that way, promising an efficient session every time. Though it only has one temperature setting, the temperature has been optimized for perfect vapes each time. A universal USB charger is included with the kit, so you can charge your vape pen no matter where you are. A packing tool is also included, allowing you freedom to take it with you anywhere without having to lug around bulky tools. Ultra portable, this slender vaporizer resembles a typical e-cig for stealth purposes. The parts screw together, making for simple, durable assembly and use anywhere you go. The Kind Pen V2.w is a concentrates vaporizer that is slightly larger than the Slim model. The device is available in as many colors as the others, and also has a strong matte finish. For your convenience, the V2.w comes with a snap-in atomizer made of dual ceramic rods and a titanium coil. This combination is key for impeccable flavor and vapor production. It features a standard 5-click on and off button to prevent misfiring in your pocket or bag. A powerful lithium ion battery powers the unit, and it can be charged using a universally compatible micro-USB charger. Your dab pen should be as exciting to look at as it is to use, and that is what you'll find in the high quality Kind Pen Bullet. It has a durable matte finish and an easy-to-grip design for on the go usage. The bullet features a standard 5 clicks of the power button to turn it off and on. Once on, the securely screwed-in dual quartz rod and titanium coil atomizer begin to heat in no time at all. The Bullet vaporizer includes a skillet tool that makes loading your material a breeze, and when the batteries have been depleted, charge them up with the included universal micro-USB charger that makes charging your batteries anywhere a very fast and simple process. Compatible with both oils and e-juices, the Kind Pen Discreet, is exactly what its name suggests. Stealthy and simple to hold in the hand, it bears resemblance to a standard box mod one might use for an electronic cigarette. A 650mAh battery powers this vape, and it comes with an 0.6 milliliter wickless, 1.8 Ohm glass tank that is attached with a magnetic 510 thread adapter. Five clicks in rapid succession turns the vaporizer on and off as a safety measure to stop it from firing unintentionally. To charge the unit, plug the unit's battery into the included micro-USB charger and enjoy the universal convenience of charging it virtually anywhere. V2 model is powerful 3-in-1 vape for concentrates, dry herbs, and e-liquid. The Kind Pen V2 is complete with a heating element that is composed of an evenly heating dual ceramic rod with a titanium coil atomizer and a separate e-liquid atomizer. It has its own dry herb "burner" with a ceramic chamber along with a skillet tool and silicon jar for the packing and storing of wax. All of these atomizers can be changed out just by snapping them in and out of place. The V2 vaporizer pen also features a 5 click power on and off function as a safety feature and is stylized with a durable and attractive matte finish. Our new favorite way to dab concentrates on the go, and its name is the Kind Pen Dream. This wax vaporizer features a deep ceramic chamber with dual quartz rods and titanium coils which are able to distribute heat evenly and efficiently. Because of its quartz heating element, glass mouthpiece, and lack of wicks, dyes, and glues, there is no tainted flavors of any kind. Touch Sensor 1500mAh lithium ion battery features temperature control technology with 3 settings including 350, 390, and 430 degrees Fahrenheit and an automatic safety shut off after 10 seconds. Its elevated air flow system ensures there will be no leaking or clogging, while also delivering crisp hits every time. 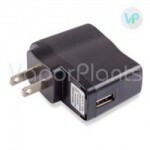 This vape is 510 threaded for easy transferring from battery to battery and can be charged using any micro-USB cable. 1. Make sure you have your dabbing tool ready, whether you use your own or the one that might have been included in your kit. 2. Unscrew the battery, mouthpiece, or whatever component is blocking your access to the atomizer. 3. Using the dab tool, collect the wax or oil concentrates and place it onto the heating element, using very little per load. 4. For best results, use caution and attempt to "knock" the wax off of the tip of the tool. Do not touch the coil with the tool. 5. Once loaded, if the heating element has wicks, give the power button a pulse or two to help it absorb into the wicking. 6. Carefully replace the battery, mouthpiece, or any other part you may have unscrewed. 7. and it is ready for your enjoyment! Kind Pen always makes it easy to enjoy any material, all through a constantly growing convenient line of vaporizers. With their unmatched portability, ease of use, incredible flavor, and versatility, it's no wonder why so many critics holds this brand in such high regards. Saves time and money - Review by Wendy T.
The Kind Pen Bullet only takes two hours to charge and once it reaches its full charge it stays charged up all day long. I really love how small and compact it is. It vaporizes my herbs completely and does not leave much behind that is hard to clean out or makes me feel like I have wasted it. The ceramic heating chamber helps prevent the Kind Pen Bullet from "eating" the herbs which I think is really neat and definitely saves me a lot of time and money. Would recommend - Review by Brian C.
This KindPen Bullet unit is one that I would recommend to anyone. Overall an excellent vape - Review by Marisa J. This Kind Pen Dream is overall an excellent vape and my new favorite. Sturdy build - Review by Lyle V.
The Kind Pen V2 is a really convenient and easy to use dab and dry herb pen that I use daily ever since I purchased it. This tool is great for taking with me on the go since it has a really sturdy build and a slim and compact design. Stealthy - Review by Griselda J. Since Kindpen Dream is similar in size to a standard cigarette, it doesn't really draw attention to me when I use it which is super important to me. Smooth throat hits - Review by Leonard S.
The vapor Kind Pen Essential produces is also nice and pleasant and does not burn my throat. Clouds are potent - Review by Mario B. The Kind Pen V2 flavor is great and the clouds are potent but they do not smell like I am vaping anything, so it's great to take in public. Really smooth vapor - Review by Raul R.
The Kind Pen Bullet is a really compact little vaporizer that works just as it is advertised. I love the vaping process although the battery life leaves something to be desired. It offers really smooth vapor, though, and does not waste my herb which is very important. Decent flavor - Review by Hazel J.
Bullet vape gives off decent flavor, but does not have any smell, making it great for taking with me out in public to vape. Really easy to load and to use - Review by Jose A. The Kind Pen Essential is a great vape for those who are just getting used to the vape scene and don't really want something they have to mess around with too much. It chooses the temperature setting for you and is really easy to load and to use. Cleaning is also simple. It hits pretty well and has a low draw resistance. Great case - Review by Paula R.
The Kind Pen Essential battery life is decent, and I love that it comes with a case because this is the vape that I take with me most frequently when I travel. Recommended - Review by Christopher M.
I recommend the Kind Pen Bullet to everyone who is considering it. Good clouds and excellent flavor - Review by Amanda J. The Kind Pen Dream has really great coils and the ceramic Halo is my favorite. It gives me good clouds and excellent flavor. I love that this pen is so easy to put together and to use as well as its ability to be cleaned with ease. There is no battery life indicator but the battery life itself is outstanding so I do not really mind that. Sturdy vape pen - Review by Cortez A. The Kind Pen Essential is a sturdy vape pen that outperforms what I expected because of its size. This pen has a nice temperature setting that appears to have been optimized for use with my materials as they vape up evenly and quickly. Stainless steel dab tool - Review by Michael M.
Kind Pen V2 even includes its own stainless steel dab tool so that I did not have to find one of my own. Battery life is decent - Review by Maggie J. The Kindpen Dream battery life is decent, but it does not take long to charge. Totally leak free - Review by Tom M.
I bought the Kind Pen Dream recently and so far it is totally leak free which is pretty huge to me as a lot of the other ones I have tried definitely are not. I love the magnetic pieces and the way that the Kind Pen Dream feels in your hand. Vapor is warm - Review by John B. The Kind Pen V2 vapor is warm but it is not uncomfortably warm. Easy to navigate - Review by Carolyn B. The Kind Pen V2 works just as advertised and is easy to navigate. It comes with a battery that seems to last a really long time and it is easy to charge using the cable that comes with it when it does need a charge. It has a really smooth and sleek exterior and is easy to hold in the hand. The draw resistance is kind of high and does not feel that natural when I hit it but I still get nice smooth draws when I do. Outstanding - Review by Maria A.
I could not be happier with the Kind Pen Dream. No battery life indicator - Review by Danny S.
The only thing that I don't like about Kindpen Dream is that there is no battery life indicator, but that is my only complaint. KindPen V2 all-in-one vape - Review by Weeds K.
The Kind Pen V2 offers really great flavor and vapor that does not burn my throat which is excellent. The battery snaps into place and is ready to use in only seconds. When it is in use, it takes no time at all to charge and then lasts for many sessions to come. The Kind Pen V2 lets me use oils, waxes and herbs no matter how I want to vape that day which makes it a really convenient all-in-one vape. Travel friendly - Review by Jason A. The Kind Pen Bullet works great and is perfect for using as a personal vape that is not being shared. I love this vape and use it most commonly. I love how easy it is to load my material into it and it does not take long at all to clean. It is travel friendly which is good because I am always moving and doing something and the battery life outshines all of the rest. Really durable - Review by Natalia J. The Kind Pen Dream is really durable and works as well as a lot of reviews and product descriptions state. Feels wasteful - Review by Christine H.
Essential vaporizes a little too hot, I think, because the actual vape itself gets a little warm to the touch but it does not burn you or anything. It uses up the material pretty evenly although sometimes it can use it up a little too much so that it sort of feels wasteful. Easy to use - Review by Jeffrey E.
The magnetic pieces of the Kind Pen Dream really make it stand out. It is so easy to use and it is even easy to clean which is a huge driving factor for me when deciding if I like a vape or not. Cant vape while plugged in - Review by Edmund G.
The only thing that I think Dream vaporizer is lacking is the lack of battery power and the ability to vape it while it is plugged in. Other than that I love it. Excellent - Review by Aurelia P.
This Kind Pen Dream is excellent and is one of the highest quality ones I have ever tried--and I have virtually tried them all. Looks great - Review by Jerry B. The Kind Pen Essential looks great and feels nice and natural in the hand. It is very well made and even though it is cheap, it does not feel like it is cheaply made. Excellent starter pen - Review by Charles V.
The only complaint that I have is I wish KindPen V2 could fit more into it. This is only because I like to vape with my friends a lot of the time and the Kind Pen V2 does not really allow me to do this. Otherwise the Kind Pen V2 is an excellent starter pen for those just beginning to vape. Heats up really fast - Review by Tara R.
I just recently picked up the Kind Pen Bullet and I love it. I will never go back to smoking again. It heats up really fast and does not take any time to get used to at all. I like that I can use it really quickly and not have to mess around with it too much when I am out in public because that is really difficult to do. This is just an overall great vaporizer that I have already used again and again with no problems arising. Great taste - Review by Merlin B.
I really love the way that these Kind Pen Essential vaporizers are the size of a cigarette because it makes it easier for me to conceal them when it public. I have also yet to experience them burning anything I put inside of them. They come in a nice little case which is nice for when I travel with them which I do a lot. The Kind Pen Essential offers really great taste and the smell is minimal which is something that is important to me. The instructions that come with the Kind Pen Essential are not very clear however. The best vape pen - Review by Christine D.
The Kind Pen Dream is the best vape pen that I have ever used. It is really high quality in its construction and is a generally good vape in terms of vapor quality. I think that it is definitely worth the price and I would buy the Kind Pen Dream again. Saves money - Review by Vickie P.
It doesn't seem like it wastes much of my material either which is really important to me. Really smooth - Review by Edmund C.
The Kind Pen Dream is really smooth and doesn't hurt my throat at all. It is not scratchy and hot like a lot of other vapes for wax that I have tried. Great vaporizer pen - Review by Jacqueline L.
The Kind Pen V2 is a really great vaporizer pen that is simple to use. I like how easy it is to clean as well. This is my favorite vaporizer that I have used and my friends love it too. The Kind Pen Bullet is a wonderful tool for all of my needs and I would definitely buy this vaporizer again if I had to. Works very well - Review by Aaron W.
Nothing beats the KindPen Dream, not at this price! One of the smallest and inexpensive pens out there, I bought this without looking for any reviews or videos and I don’t regret it. Might buy a second one for spare in case this one falls apart as I use it daily. Slim is a very simple Oil pen, helps me smoke less and kick the habit. I would suggest this for a beginner, if you are interested in a simple oil vape pen, this will do the trick.